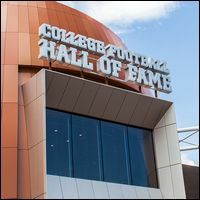 The Chick-fil-A College Football Hall of Fame presents its latest special exhibit featuring a collection of famed sports photography by Jim Laughead and his partner Brad Bradley. 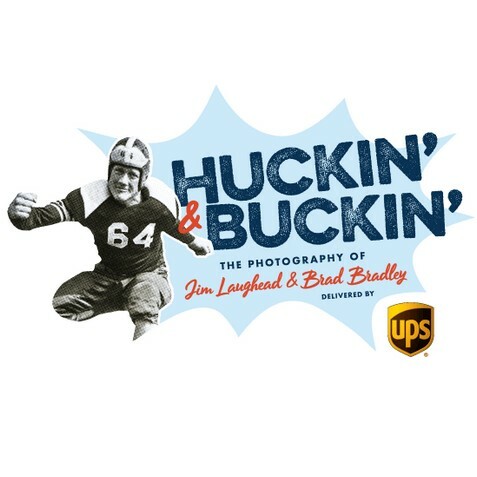 The collection includes iconic photos from Laughead and Bradley highlighting some of the most legendary collegiate and professional athletes and coaches. Laughead’s work is most known for the iconic and often intimidating poses he would demonstrate for each of the players – one of them being the Huck and Buck. Fans have the rare opportunity to view unique photographs of players and coaches including Jimmy Johnson, Archie Manning, Tim Brown, Bob Lilly, Don Meredith and many more. The exhibit also features the last of a long line of SpeedFlex Crown Graphic cameras used by Laughead and Bradley.